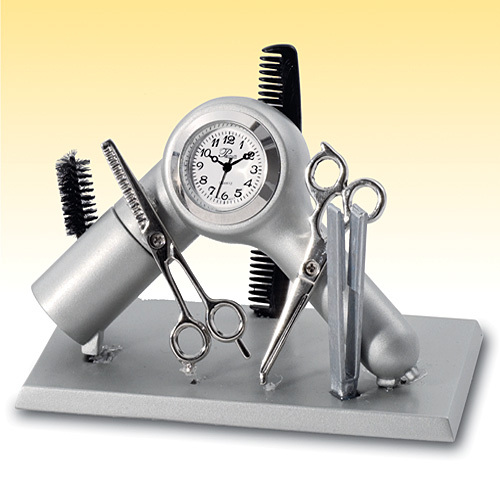 Hair stylists clock makes a great gift for your favorite salon professional or barber. Ideal to use at work to keep track of time during appointments. Clever design depicts stylists' favorite tools: scissors, comb, brush, flat iron and hair dryer. Requires one button cell battery, included. Metal, 4 x 2 x 2 3/4". Talk about not knowing your target market. How many gay hair stylists are going to have to exact revenge on their clients upon receiving this? Weight Loss Ring Really Works!